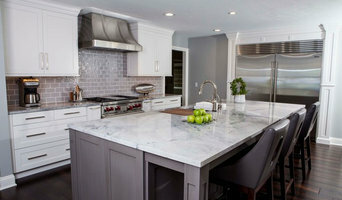 Kitchen Concepts Design Studio is a family-owned establishment offering exclusive creative interior design services in the Wichita area since 2002. We do more than just coordinate cabinets finishes and appliances! Kitchen Concepts is deeply involved in your project from start to finish, taking the time to understand your needs and desires so we can help make the room you've always dreamed of into a reality. Our Process ensures you will experience a world of difference in customer service and quality of work, ending up with a finished product you'll be glad to call home. Whether you're thinking about remodeling an existing kitchen or bath or creating a brand new wine cellar or man-cave, Kitchen Concepts has the vision and expertise to bring your dreams to life. Our designs are completely unique to each homeowner and their families' needs. Kitchen Concepts Design Studio takes the necessary steps to ensure that the design and selections are distinctive to your needs. We have helped Wichita area homeowners enhance the beauty, comfort and functionality of their homes over the years. Our clients have developed a genuine love for the projects we complete. Not surprisingly, they keep coming back to us. Give us a chance to create something special in your home, too. In late fall of 2002, Mark Anderson had a vision. He longed to form a home design company whose sole focus was to create environments that enrich how people live, entertain, and relax. From decades of professional interior design experience, Mark knew each client’s dreams and inspirations were unique, and his approach should reflect their distinct tastes and preferences. He also knew clients want a simple, easy-to-understand process during a time where details and decisions are of the utmost importance. These are the cornerstones of Persona Kitchen & Bath Solutions. Our clients enjoy professional, knowledgeable and creative design for both remodeling and new construction. 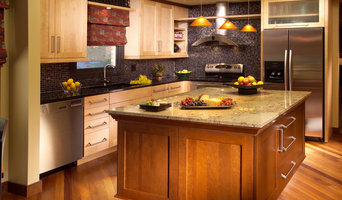 We proudly offer the cabinetry of fine manufacturers such as Showplace Wood Products, R.D. Henry & Company, and Waypoint Living Spaces. To complement the finest cabinetry available, Persona features exclusive decorative hardware and accessories from Top Knobs, Atlas Homewares, and Jeffrey Alexander, to name just a few. And accompanying our granite, marble and other natural stone counter top offerings are Natural Quartz counter tops from Cambria and Caesarstone. Let's jump-start your dream remodel. Please feel free to call me at 316-943-5551, or write me at mark@persona-style.com. I look forward to our first of many pleasant conversations! 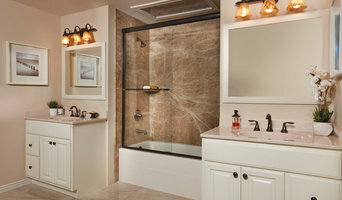 Wichita's Customized Kitchen & Bath Design Solutions 2X Best of Houzz! Gordon Designed Homes is primarily a remodeling company that specializes in the finish aspects of your home, such as custom cabinetry, custom trim work, tile work, and hard surface flooring. We pride ourselves on doing things right the first time which has minimized call backs and warranty work. We stand behind our work to the point where we go beyond the recommended 1 year warranty and tell our clients they can call us 5 years from now and if it is a workmanship issue, we will fix it. To date, we have never had to. Our clientele consists primarily of professional people, such as, doctors, attorneys, business executives, and bankers. I can honestly say that a majority of the time, the response from our clientele is that we had exceeded their expectations and made their dreams come true. I started this business for this reason. We love what we do and offer it a reasonable and fair cost for all. There is no greater feeling than seeing people's reaction as they view the progress of their project everyday and of course at the conclusion. We are very lucky to make a living doing what we do for people. The Kitchen & Bath Gallery, Inc. specializes in the design and installation of custom cabinetry for any room. Welcome to Design One Contractors, your residential roofing & remodeling specialist! Serving Wichita, KS, and the surrounding areas, our mission is to provide our customers quality roofing, gutter and siding products with the best service and craftsmanship in the industry. We are a locally family-owned and operated company with over 20 years of experience in the construction industry, and we guarantee our work. Design One Contractors welcomes the opportunity to add you to our long list of many satisfied customers. Our professionals are eager to demonstrate why we are the best choice to handle all of your roofing & remodeling needs. Call or email us today to schedule your free estimate! From the first to last moment of your project, The Decor Center is committed to our customer. We believe our relationship with you is one of utmost importance. Our goal is, and has always been, to provide you with unsurpassed service and attention during the planning, construction, and finishing phases of your project. There's more than one reason why people who know choose The Decor Center... We invite you to discover why. 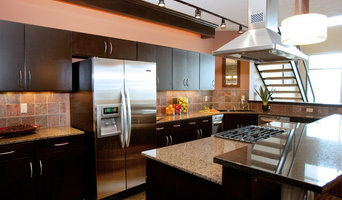 Traditional skills, but still state of the art - that's what sets Wichita Cabinet Company apart. We produce master-quality work that is customized to your specifications to your specific needs. Whether custom-made to specification or revisions and repairs, you can rely on us! Shigley Construction Inc. has been remodeling homes in Sedgwick, Sumner and Butler Counties since 1988. Shigley Construction Company received a national recognition in 2002 when the company was named by Remodelers Magazine as one of the Big 50 Remodelers in the country. 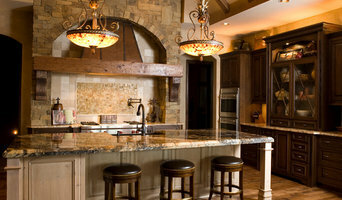 Professional interior remodeling specializing in fine cabinetry and woodwork ,bathrooms,kitchens and tile installations. Basement finishes. Green Refinishing is a home remodeling with a unique alternative to the traditional remodeling. While offering full remodeling services we also specialize in an innovative, economic alternative to renovating kitchens and bathrooms. Whereas you may spend thousands on even small-scale renovation projects in your home or business we offer an affordable, eco-friendly refinish that will yield equally impressive result. When done properly, a kitchen update makes your home more enjoyable and can prove to be a valuable investment. You can count on the dedicated and knowledgeable team at Kitchen Tune-Up to provide quality kitchen remodeling in Wichita, Kansas. We offer four service options at different price points including our exclusive 1 Day Wood Restoration Tune-Up, cabinet refacing, cabinet redooring, and new cabinets. Kitchen Tune-Up is committed to excellence, and we have developed a company-wide initiate to change the way our customers experience home improvement. It is called our Trustpoints. If you are ready to change your kitchen and want the experience to be extraordinary, contact us today. Many projects are complete in 1-5 days! Call us at (316) 558-8888 to learn more about our kitchen remodeling options or to schedule a free estimate. We're available by appointment for no-obligation consultations. Bei der Badplanung oder einer Badsanierung in Wichita, KS helfen Ihnen Badplaner, Ihre Vorstellungen in die Realität umzusetzen. Ob großzügiger Wellnessbereich oder funktionales Gäste-WC: auf dem Weg zum Traumbad ist die Beratung und die Planung durch einen Badplaner besonders wichtig – schließlich soll die Badausstattung nicht nur optisch, sondern auch funktional überzeugen. Bei Houzz finden Sie kompetente Baddesigner, die mit Ihnen das passende Konzept für Ihr neues Traumbadezimmer oder die Badsanierung finden und planen. Sie beraten Sie zur Planung der Badrenovierung in Wichita, KS und helfen bei der Auswahl der Fliesen, Armaturen oder einer neuen Badewanne oder Dusche. Wünschen Sie sich ein neues Badezimmer, das Ihre Wünsche und Bedürfnisse befriedigt? Dann zögern Sie nicht lange und finden Sie Ihren Wunsch-Badplaner online bei Houzz! Ziel einer kompetenten Badplanung ist es, Bäder nach Ihren Bedürfnissen und optischen Vorstellungen zu realisieren. Den Anfang macht eine Beratung zu den Möglichkeiten und den Kosten für die Badrenovierung. Da das Angebot an Armaturen, Ablagen und Fliesen schier unendlich ist, braucht man einen Baddesigner, der sich mit den neuesten Trends in puncto Badezimmerdesign auskennt. Er berät Sie auf Basis des Grundrisses zu Fliesen und zur Installation von Waschbecken, Toilette oder Dusche und hilft, den richtigen Badausstatter auszuwählen. In einer Badausstellung in Wichita, KS oder dem Showroom einer Badmanufaktur in Wichita, KS können Sie sich für Ihre Badplanung Beispiele ansehen. Zur Arbeit gehört auch das Anfertigen von Grundrisszeichnungen und Entwurfskizzen. Mit einem Badplanungsprogramm lässt sich die Aufteilung im Badezimmer natürlich auch online oder in 3d planen, doch für maßgeschneiderte Badkonzepte ist eine persönliche Beratung nicht zu ersetzen – besonders, wenn es um die Badplanung für ein kleines Bad oder Gäste-WC geht. Bei der Planung berücksichtigt der Badgestalter ebenfalls die Umsetzung aller Maßnahmen durch Handwerker. Eine neues Badezimmer-Design nimmt man nicht alle Tage vor. Die Badplanung sollte vor allem mit Blick auf die Zukunft erfolgen, damit Sie auch langfristig Freude an Ihrem Traumbad haben. Wenn Sie sich Kinder wünschen, brauchen Sie ein familientaugliches Badezimmer oder ein kleines Badezimmer, welches Sie auch als Gäste-WC nutzen können. Möchten Sie in Ihrem Haus auf lange Sicht bleiben, ist vielleicht ein seniorengerechtes oder barrierefreies Bad interessant. Dabei müssen Sie zwischen Neubau und Badsanierung unterscheiden. Ein Neubau lässt in puncto Badezimmerplan mehr Möglichkeiten zu, etwa beim Grundriss oder der Verlegung der Anschlüsse. Eine Badmodernisierung gilt meist der Verlegung neuer Fliesen oder dem Einbau neuer Armaturen. Der Zeitpunkt für den Badumbau sollte gut geplant sein: Urlaubstage eignen sich besonders gut, wenn man bei der Badrenovierung in Wichita, KS dabei sein möchte. Oft hat man vor einer Sanierung nur vage Ideen, wie das Ergebnis aussieht. Badausstellungen, ein Showroom oder der Besuch einer Badmanufaktur in Wichita, KS können ein guter Startpunkt sein, um Ideen für den Badbau zu bekommen. Zeigen Sie Ihrem Fachmann auch Bilder von Badplanungen, die Ihnen gefallen. Zusammen können Sie dann eine Design-Lösungen finden, die Ihren Vorstellungen und vor allem Ihrem Budget für das neue Badezimmer entsprechen. Klären Sie deshalb mit Ihrem Badplaner was Sie für ein neues Waschbecken, eine bodengleiche Dusche oder eine neue Badewanne ausgeben möchten. Kosten sparen lassen sich bei einer Badsanierung in Wichita, KS entweder durch Eigenleistung oder beim Material. Durchstöbern Sie die verschiedenen Firmenprofile und speichern Sie Bilder gelungener Badrenovierungen in Ihren Ideenbüchern. Suchen Sie mit der Umkreissuche gezielt nach einem Badezimmerplaner oder nach Badaustellungen in Wichita, KS und lesen Sie Projektbeschreibungen, Leistungen und Kundenbewertungen, bevor Sie Ihren Wunsch-Badgestalter für Ihre Badplanung kontaktieren.